Friday, July 3, 2015 – As if he were an urban cowboy, Eric Mathews can often be spotted In Astoria, Queens, zooming down a neighborhood road on his bike, wearing sunglasses and a straw hat. 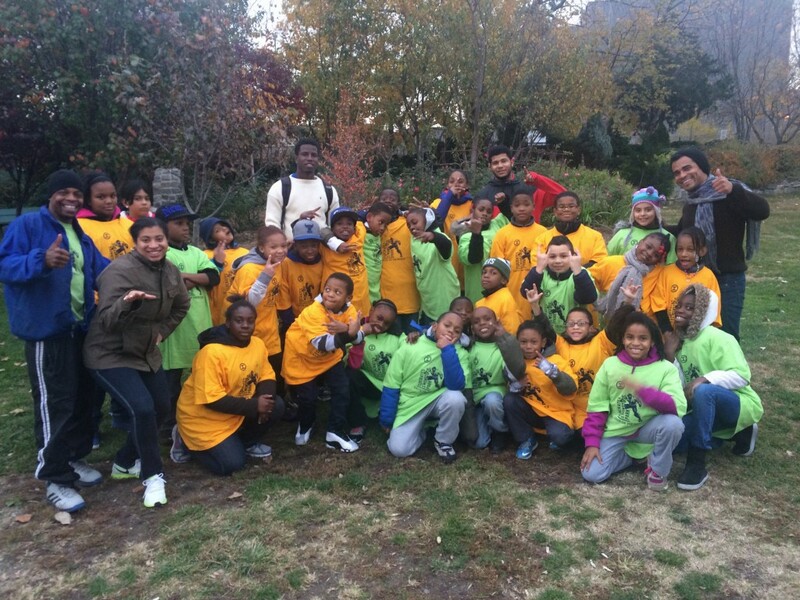 Mathews, who is the executive director of Minor Miracles, an organization that focuses on promoting youth fitness and fighting childhood obesity in Astoria, has worked in collaboration with Socrates Sculpture Park since 2011. As Mathews looks back, he can clearly remember the stormy autumn day when Socrates hosted their first Minor Miracle’s event, Day of Play. Days of Heroes, which just wrapped up its third season, was conducted on Tuesdays and Thursdays May 12 through June 25. Each week representatives from one of the four public service departments gave interactive presentations on what it would entail to become a firefighter, policeman, emergency medical technician, or coast guard. Afterwards, the participants were given an opportunity to perform the physical routines that are a daily necessity of each respective academy. Each series culminates in a workshop and obstacle course with Socrates Sculpture Park’s Shaun Leonardo, who works with the teens to break down the meaning of a superhero, so each participant can identify the qualities that they aspire to achieve, or might already have instilled within them.